We don't believe that smart home tech is hard to use, but we're professional geeks, and not everybody is as tech savvy. The average home owner is not a tech nerd, and that's OK! Except when your home is run by technology. Luckily systems like Savant are committed to making their technology simple and user friendly. We predict in 2019 smart home tech will be even easier to use and that if you can send a text message, you'll be able to run your home from the palm of your hand. Video doorbells are a lesser known smart home device, but they help homeowners feel safer and more secure in their home. A digital doorbell records a video of whoever is at the door, and you can then decide if you want to bother answering or if you want to avoid that salesman who keeps coming around. Not just great for the homeowner who hates talking to strangers, these are great devices to keep your kids safe as your kids can see who is at the door. You can teach them if it's someone they don't recognize, don't answer. We predict in 2019 more and more homeowners will embrace video doorbells like Ring. What we love about Ring is you can see, hear, and speak to whoever is on your doorstep. We love systems like Savant, and quite frankly, Savant is what we prefer to install. But some homeowners are getting started with smart speakers like Google Home or Alexa, and then slowly making the way to a bigger, more integrated system. For the homeowner on a budget, this is a cheaper (albeit slower) way to get a smart home. Instead of the many thousands of dollars it costs to hire a trusted professional to install Savant, a homeowner can spend a few hundred bucks here and there and slowly end up with a smart home. Currently, many of these devices aren't cross compatible, but we predict in 2019 more and more peripherals will work with different platforms giving the homeowner on a budget more choices for their smart home. We can't control utility costs as a whole -- here at Zeus Integrated we simply don't have that power -- but we do know the wonders that a smart home system can do for your utility bills. While the upfront cost of a fully integrated smart home is not cheap, it does have a great result: Lower utility bills. With smart ambient LED lighting that costs a fraction to run compared to larger fixtures, and climate control so your home is cool when you're gone and only warms up an hour before you come home, it's easy to see how a smart home system can be a long term investment in the efficiency of your home. As smart home tech gets even smaller and even more efficient, we predict in 2019 your utility bills will see an even bigger impact than they do currently. One of the fastest ways for a contractor to increase the value of the homes they build is by partnering with smart home installers. This saves time and energy on trying to do it themselves (especially when tech isn't their thing), and it vastly increases what a potential buyer would be willing to pay for a home. When the smart home systems are setup before the home is even finished, it means a homeowner wouldn't have to invest in retrofitting their home down the line. Retrofits are always more expensive than upfront builds. 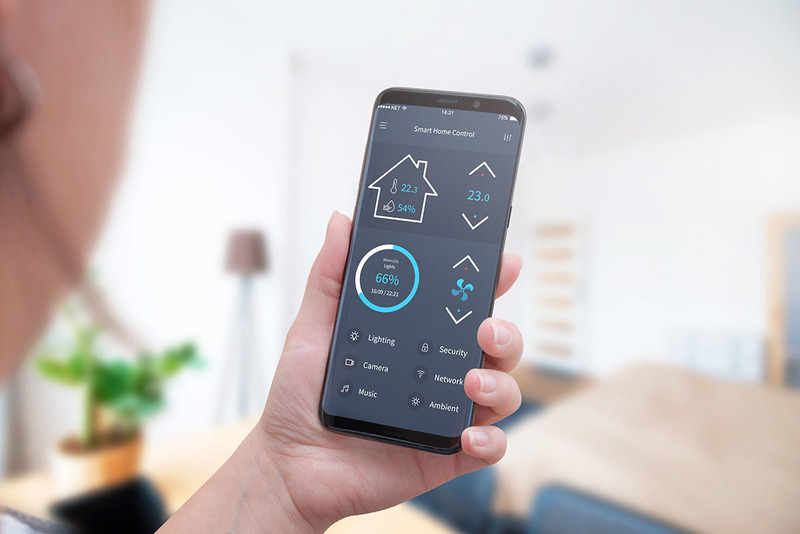 We predict in 2019 more and more contractors will see the benefit in partnering with smart home installers, adding more to their bottom line, and making happier home buyers.